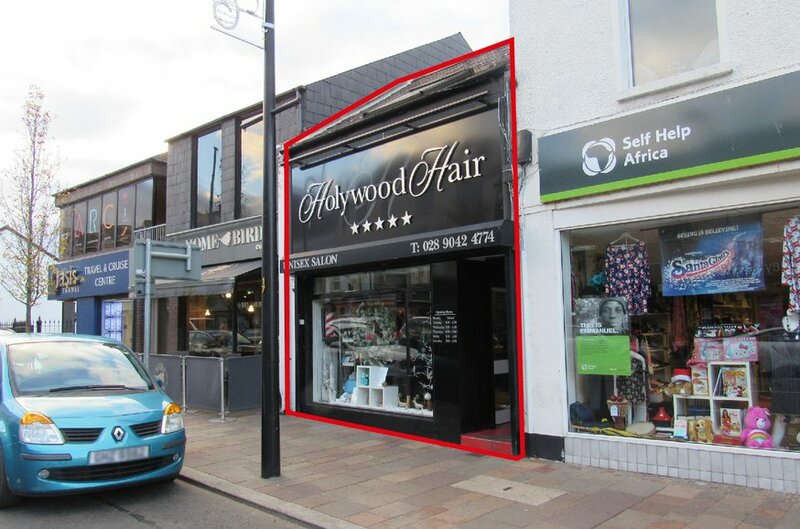 Prime location in the centre of Holywood. Extending to c. 808 sq. ft. Suitable for a variety of uses (subject to planning). 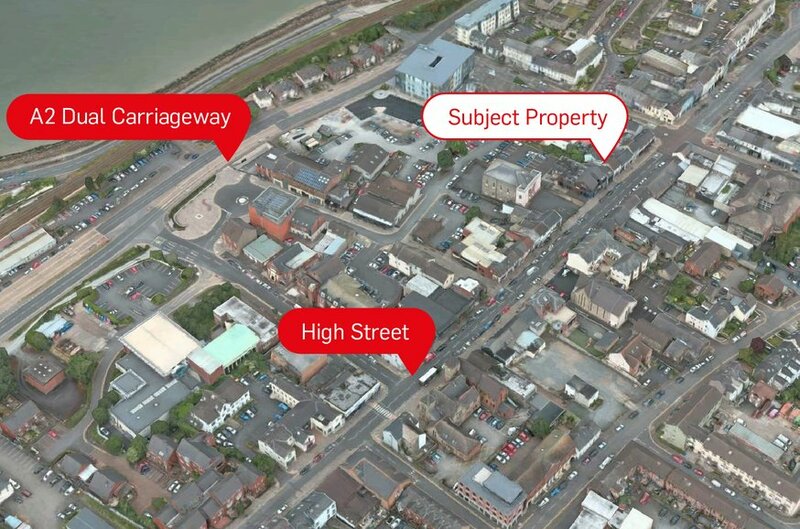 The town of Holywood is located approximately 7 miles north east of Belfast City Centre, accessed via the A2 dual carriageway. The town is considered as one of Northern Ireland’s most affluent areas, with a resident population of c. 12,000 and a catchment population of c. 500,000 within a 30 minute drive time. 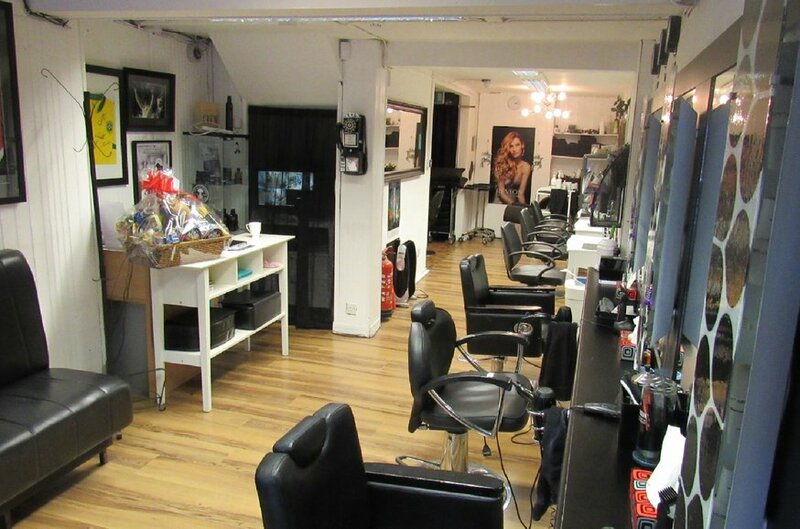 The property is well located on the town’s High Street amongst a mix of retail, office, bars and cafes/restaurants. Nearby occupiers include Homebird Café, Boots, Caffè Nero and Oasis Travel. 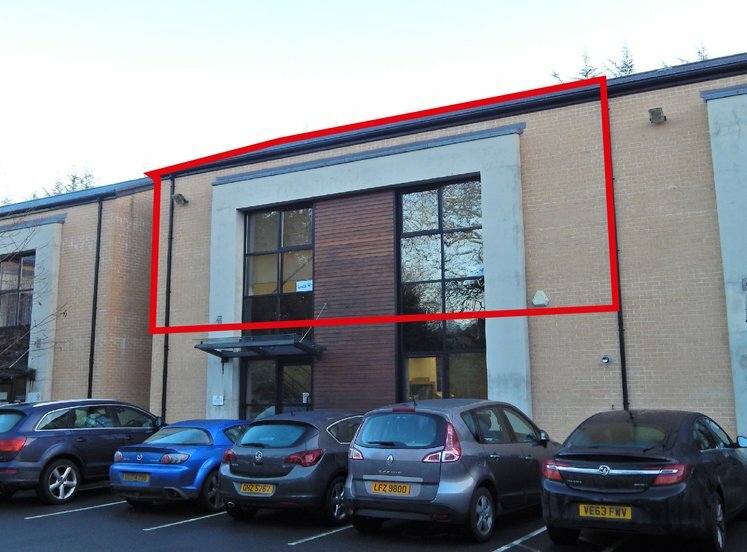 In its current layout the two storey property provides a mix of retail, office and ancillary space, as well as kitchen and WC facilities. 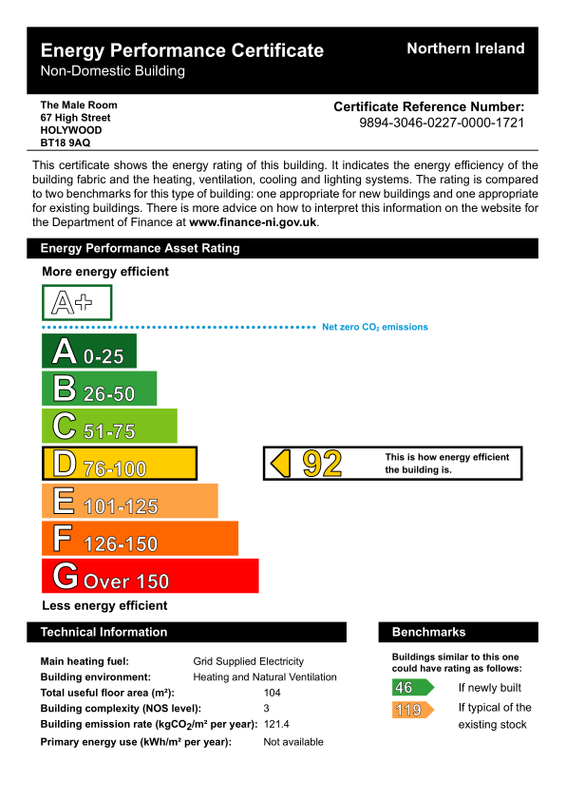 Internally the premises are fitted to include, wooden laminate flooring, plaster painted and wooden panelled walls and fluorescent strip lighting. *A reduction of 20% may apply to this figure through the Small Business Rates Relief Scheme. The space will be let on effective full repairing and insuring terms via recovery of a Service Charge. For the year ending April 2019 is approximately £625 per annum, exclusive.